Second Engineer: David Mancini, Jr. 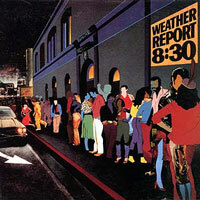 Recorded 1978 at Devonshire Sound, North Hollywood, California. 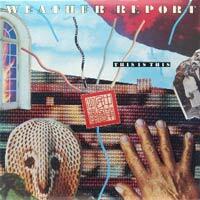 Mixed by Alex Kazanegras, Joe Zawinul, and Jaco Pastorius at Devonshire Sound, North Hollywood, California. 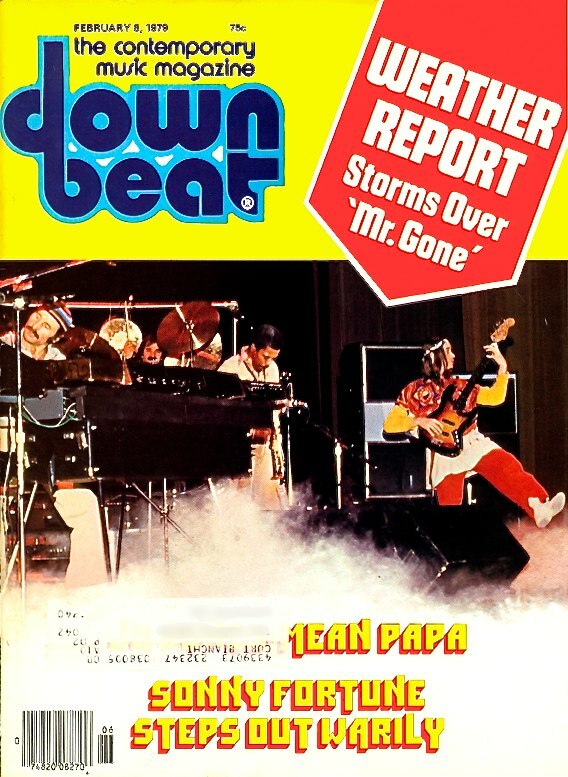 Down Beat, February 8, 1979. Birnbaum: I queried the band about changes in their music. Zawinul: Well, it’s developed and it’s grown but a human being is a human being and you can’t change that much. Pastorius: Your personality doesn’t change, it just grows. Shorter: Your name was the same when you were a baby, too. Birnbaum: Well, there have been different personnel in the band also. Zawinul: But it’s the same constitution. Birnbaum: Hearing the band live last night I was really struck by the heavy rock feel, especially in the bass and drums. Pastorius: …because if there’s a heavy feel, it’s r&b, not rock. There’s a difference between rhythm and blues and rock ‘n’ roll. I grew up playing nothing but colored music all my life and that’s it. Zawinul: That’s the difference, we don’t play no white music, because rock ‘n’ roll is a white music. Birnbaum: What about Chuck Berry? 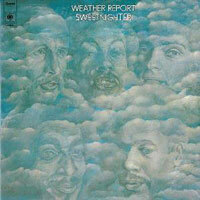 Zawinul: That ain’t no rock ‘n’ roll, Chuck Berry, that’s r&b. Pastorius: I don’t play nothing but r&b. It ain’t no rock ‘n’ roll. Zawinul: English music is rock ‘n’ roll. The Prophet 5 was introduced in January 1978 by Sequential Circuits — a small, self-funded company in San Jose, California. The Prophet 5 featured five voice polyphony, meaning you could play five notes at once. There were other polyphonic synthesizers at the time, most notably the Oberheims that Zawinul had been using since Black Market, but the Prophet 5 was the first one in which every single parameter could be stored in computer memory, allowing sounds to be recalled instantly. Zawinul liked it immediately. 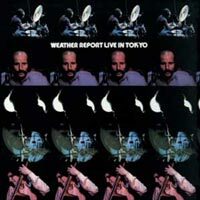 Explaining the circumstances of the album, Zawinul said, “We had to do another album, but because Wayne was doing a lot of music outside the band, he didn’t have much music for us. 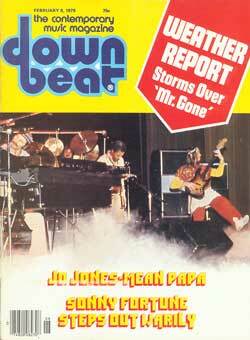 I was working on a solo album at the time, so we used most of this material for Mr. Gone. This was the first album I cut at home. 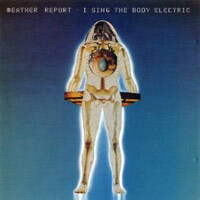 It was an experimental album for me. 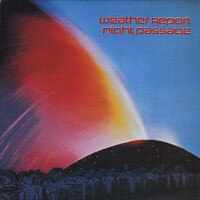 Steve Gadd and Tony Williams played drums on it, and we cut it on eight tracks.” [KB84] In fact, four drummers played on Mr. Gone, including Jaco on two tracks and newcomer Peter Erskine, who would join the band for its subsequent tour and stay on through three more albums, a period that many consider to be Weather Report’s finest. At age 23, Peter Erskine, was already a veteran big band drummer, having played with Stan Kenton for three years and Maynard Ferguson for two, with a brief back-to-college break sandwiched in between. 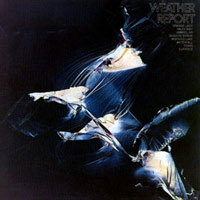 His entre to Weather Report came via an introduction to Jaco Pastorius, as Erskine told A. James Liska in the August 1981 issue of Down Beat. “Ron Tooley, a trumpet player on Maynard’s band, had worked with Jaco in Florida and invited him to come hear the band. He told Jaco he ought to check out the drummer,” Erskine recalled. 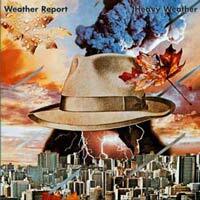 “I’d been listening to Jaco’s album and, of course, I’d been listening to Weather Report. I was in high school when their first album came out, and each one had been a kind of revelation. I got to S.I.R. Studios on time and started setting up my drums. I was very eager to meet everyone and start playing. Meanwhile, these guys kept calling in to say they were running late. The rehearsal eventually started about five hours later than it was supposed to. Joe came in first and was very cool. He just kind of sauntered over and shook my hand. Wayne was friendly. Jaco bopped in, said hi, and then ran back out to get a six-pack of beer. 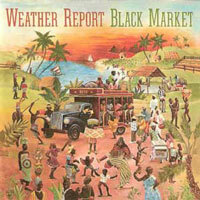 Shorter, who played ferocious tenor sax on the [concert] opening “Black Market,” continues to maintain a low profile. For those who recall his prolific output with the Jazz Messengers, with Miles Davis and on his own Blue Note albums, Shorter’s reticence is an endless disappointment. 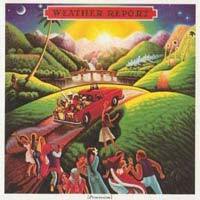 Drummer Jack DeJohnette has even written a tune about it (“Where or Wayne,” on his New Directions album). But if you ask Shorter why he isn’t playing more, you get an enigmatic answer. ‘River People’ I wrote in the Everglades, where I was bass-fishing four years ago. It’s an older tune, about a day with the river people, like they get their feet right in the mud there; so the bass part: I sang the bass part (sings and claps time) ‘mm-maa, mm-maa, hmm; mm-maa, mm-maa mm-aa umm’, like a lot of people down in the mud at the river, yeah? And then these chords, the way they come in, it sounds like the sunrise – bang! – like this incredible light, and then the whole day passes, and at the end you start roaring, you start having a little fun, like you kind of party out at the end into this New Orleans feeling, y’know? I was in the Everglades fishing, but I was feeling a lot like I was in Louisiana when I wrote the song! It was weird. “Young and Fine” was sampled and used by the hip-hop band A Tribe Called Quest, on the cut “Butter” on their album The Low End Theory. A lengthy live version was recorded by the band Steps (aka Steps Ahead) in 1980, and can be heard on their album Smokin’ in the Pit: Live!. A big band version of “Punk Jazz” can be heard on Jaco’s The Birthday Concert album, a live recording of the concert Jaco staged on the occasion of his 30th birthday on December 1, 1981. “So when I had this tune I improvised–all my music is improvised–I thought it would be great just to have somebody say, ‘And then… What then?’ I mean, what is going to be happening, man?! 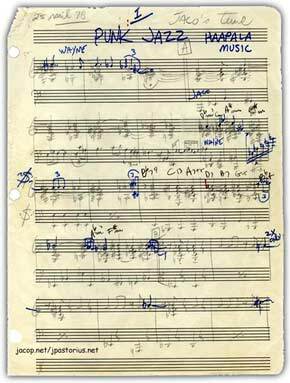 “And then this guy–who is a genius–I had this melody, I gave him the ideas. He was singer Sam Guest, he’s a very good singer. I called him out to my house from Virginia and I told him what lyrics I want. He’s a lyricist. I’m not a lyricist but I have the ideas. Henderson went on to say that Joe initially offered the female vocal role to Alison Mills, but she turned it down, so it was sung by Deniece Williams of Earth, Wind & Fire. 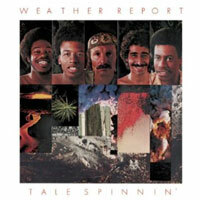 Mills later performed live with Weather Report on June 1, 1982–the first concert by the Omar Hakim-Victor Bailey band. This live version of “River People” was recorded November 28, 1978 in Phoenix, Arizona. 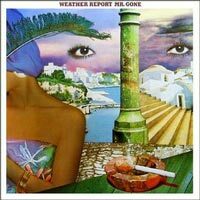 It was originally released in 2002 on Live and Unreleased, and is included on the version of Mr. Gone that is part of the 2012 boxed set Weather Report The Columbia Albums 1976-1982. This live version of the medley “In A Silent Way/Waterfall” was recorded November 28, 1978 in Phoenix, Arizona. 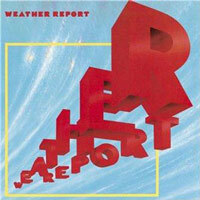 It was originally released in 2002 on Live and Unreleased, and is included on the version of Mr. Gone that is part of the 2012 boxed set Weather Report The Columbia Albums 1976-1982. Billboard chart peak: Jazz Albums, 1; Top 200 Albums, 52. Compostition and stunning performances aside, I feel that the original mix and mastering really hurt this record. 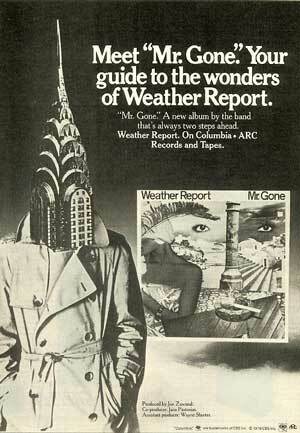 While the previous LPs had lots of air around the instruments and the mixes were fairly rich in fidelity for the times, Mr. Gone sounds thin and over-compressed-almost perhaps harsh by comparison. The LP just sounds horrible on todays gear. Even the Japanese Mastersound pressing is an odd brew of mids and high end. A remix and remaster of this project would be a miracle and a true gift!! I think your comment applies to every WR record after Heavy Weather. 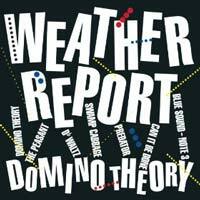 The early stuff probably sounds as good as it will ever get, but everything starting with Heavy Weather is in desperate need of remastering. I still love this record. 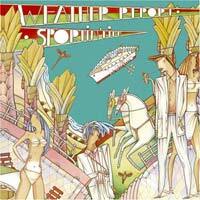 A total departure from the mega-hit Heavy Weather and totally outlandish and ahead of it’s time with Zawinul’s use of electronics and the band’s work. It swings yet creates some wild moods and tones that are still enjoyable. 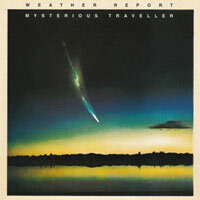 What a brilliant collection of info about my favourite WR album along with Heavy Weather, Mysterious Traveller and Sportin’ Life. After 30 years of listening, I finally know what Maurice White is singing on ‘And Then’! Also I love Joe’s anecdotes about their ‘drummer problems’ recording the title track. Who knew they went through that many drummers including Joe himself?! It seems even Joe lost confidence in this material, though – I think I’m right in saying they dumped all the ‘Mr Gone’ tracks very early on the 1978 tour, even though they started out playing the title track, ‘Pursuit’, ‘Young and Fine’ and ‘River People’. You have a brilliant website. Thanks. There are some really excellent live versions of “Pursuit…” out there and it bums me out that they cut from the live show.